Who I am Wrap Dress - Stori Anne Co.
95% Polyester/5% Spandex. 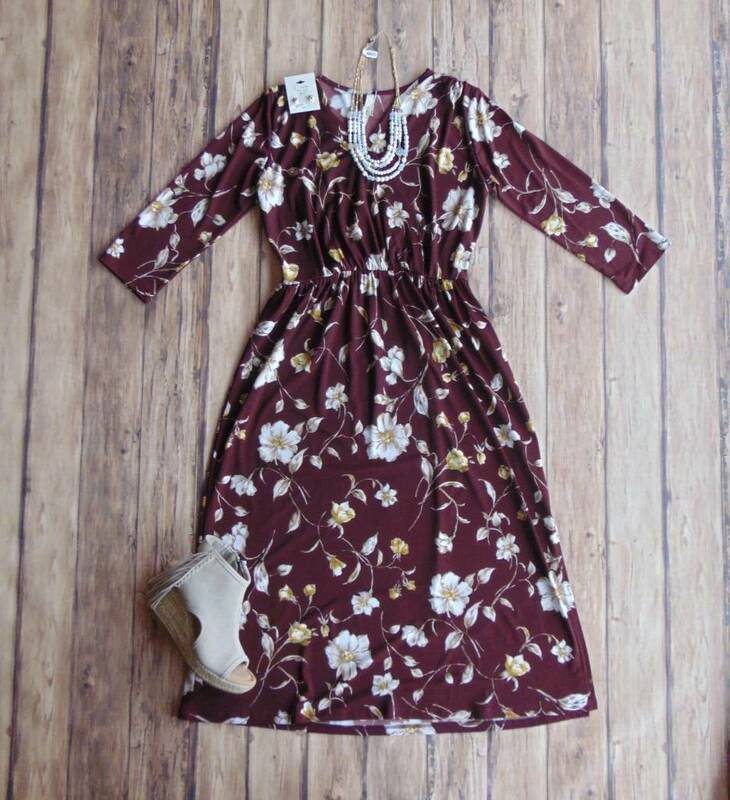 Stretch faux wrap floral dress with 3/4 length sleeves and midi hemline. Pair this stunning dress with pumps and simple accessories for a look for work or play!